Ayurvedic Treatment for Obesity | ND Care Nirogam Pvt. Ltd. In Ayurvedic scriptures, obesity is known as Meda Roga, a disorder of Meda Dhatu (fat tissue). The natural treatment of obesity targets the imbalanced Tridoshas. The Ayurvedic obesity treatment protocol elucidates to maintain a healthy digestive fire and cleansing of Shrotas. It has been mentioned that an imbalance of Agni (digestive fire), Malas (waste products), and Medovahi Shrotas (microcirculatory channels) can hinder the formation of Dhatus (tissues) which ultimately leads to obesity. The major cause for such imbalances is nothing but faulty diet choices (excessive food intake) and lack of physical activity that disrupts the harmony among the above mentioned Doshas. "Medaha sneha swedaudhrudatwam pushtim asthyancha"
The above mentioned Sanskrit Shloka reveals that normal functions of the body fat or Meda is to keep the body moisturized, cause sweating, store energy in the body, and nourish the bones. At ND Care Nirogam Pvt. Ltd, we provide the best treatment for obesity. During natural/herbal treatment of obesity, the Shrotas (microchannels of the body) become our first targets which are otherwise occluded due to a sedentary lifestyle. We recommend unique Shroto Shodhak Aushadis meant for purification of the microchannels. Our R&D cell has developed Medohara (anti-obesity), and Lekhana (hypolipidemic) natural concoctions to naturally treat the obesity. We prioritize the root cause treatment i.e. to eliminate Doshavriddhi (Dosha aggravation) in order to prevent the relapse of obesity. 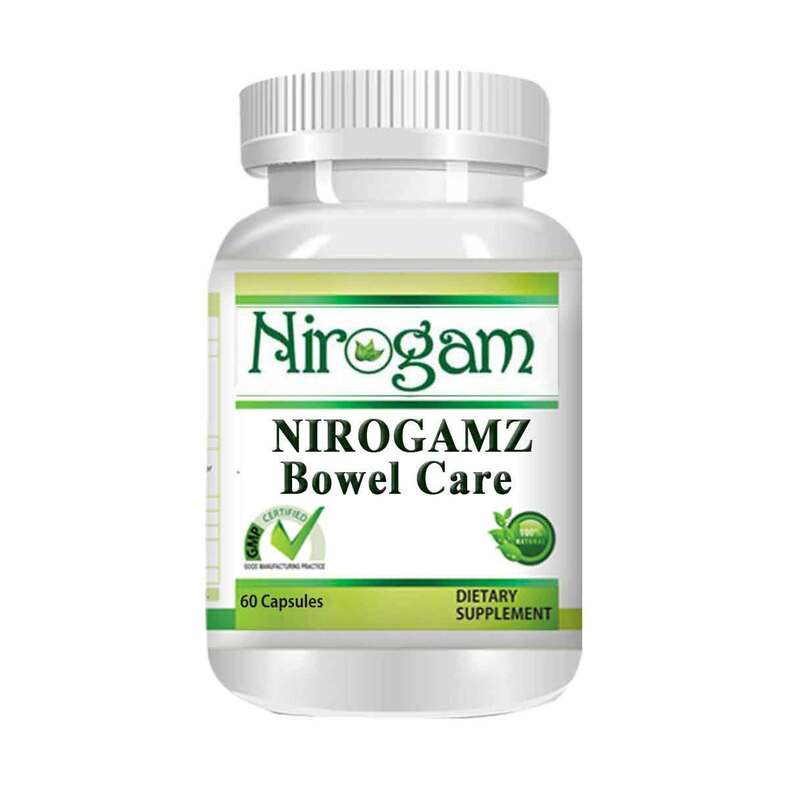 Bowel care "Promote digestive system and excretory system"
Supports easy daily bowel movement. Increases metabolism activity of the body. Nirogam DT "Promotes longevity and strength by boosting digestive function"
Supports proper assimilation and absorption. Promotes intestinal calm and comfort. Nourishes and rejuvenates the tissues. 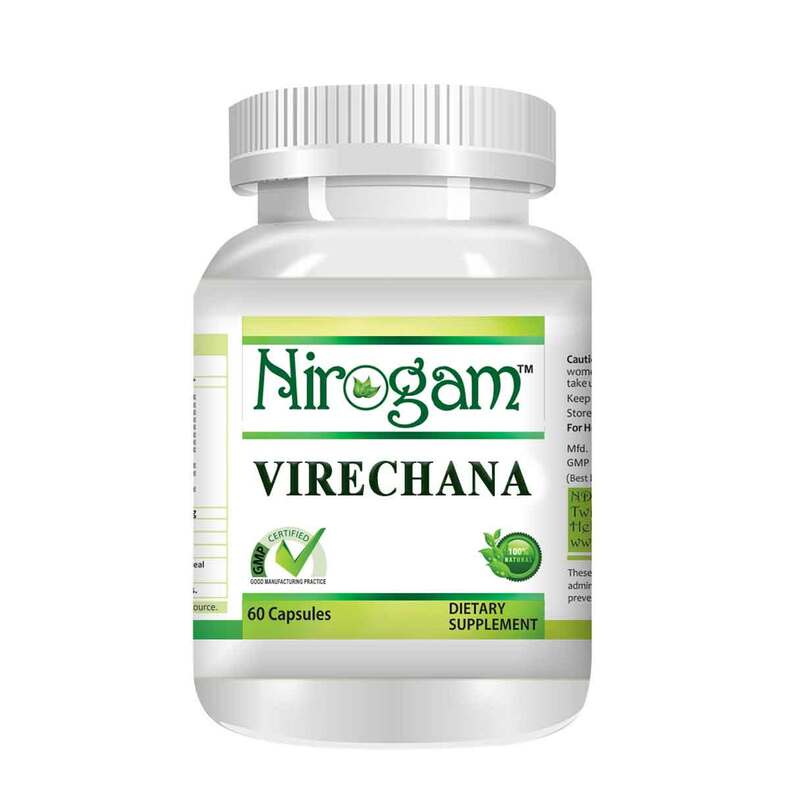 Virechana "Natural laxative to regularize the bowel mobility"
Our wellness products are made of standardized herbal extracts, free-from toxins, side effects, and any withdrawal symptoms. On the basis of several case studies worldwide, our physicians have established that these wellness products can significantly normalize the increased body weight and optimize the Basal Metabolic Rate (BMR) of the patients. Additionally, in coherence with our natural products, we have devised several programs encompassing Yoga, Pranayama, customized diet chart, and counselling. Triphala (Emblica officinalis + Terminalia chebula + Terminalia bellerica): - It is a well known powdered preparation of Amalaki, Haritaki, and Bibhitaki which possesses free radical scavenging properties, thus cleanses the mucus of the digestive tract, nourishes/strengthens the intestinal skin. It aids digestion and eliminates toxins and helps the body's regulatory system to function properly. It also lowers cholesterol significantly. Brahmi (Bacopa monnieri): - It helps to enhance the digestion in the body implying weight loss. It is rich in anti-oxidants for toxin elimination. It is also good for the digestive tract, as it supports the healthy microbes. It is specifically helpful in providing relief from IBS and gastric ulcers. Brindleberry (Garcinia cambogia): - This plant helps by enhancing exercise performance and increasing bowel movements. It has been scientifically studied that it can potentially prevent fat storage, and appetite. It has been indicated that this plant possesses lipid-lowering activity, enhances metabolic rates, and fat loss. Guggulu (Commiphora mukul): - It is a well-known natural Ayurvedic remedy for weight loss and a leaner physique. It is specifically famous for increasing the level of good cholesterol. It has been specifically mentioned in Ayurveda that Guggulu can treat Medo Roga (obesity) as it inhibits the development of fat cells, destroys fat cells, and prevents accumulation of fats in mature fat cells. Guduchi (Tinospora cordifolia): - This herb ensures adequate channelization of body fat. It is India's scientifically proven research-based Ayurvedic herb. It has been pointed out that it can correct the cell- to-cell metabolism in obese patients. Lemon juice is one of the best home remedies to treat obesity. It is rich in fiber, vitamins like vitamin B and C, minerals including, magnesium, iron, zinc, phosphorus, and calcium. Raw and unfiltered apple cider vinegar is a good home remedy to reduce excess weight. Green tea is a natural remedy to promote weight loss. Eating 10 fresh curry leaves daily in the morning works as a great natural remedy to deal with obesity. Drink lukewarm water, lime juice, and honey daily morning on an empty stomach. Eat a balanced diet and chew food properly. Avoid fatty and greasy foods. Eat high fiber rich foods, whole grains, vegetables, and fruits. Vegetables like bitter gourd and drumsticks naturally help in weight loss. Use salad of raw vegetables such as carrot/cucumber/cabbage etc. Include green leafy vegetables and fruits in your diet. Avoid fatty and greasy foods. Walk after a large meal. Don't take preservatives food items. Do not try to lose weight easily. Use salt and sugar to the minimum extent. Control your desire for sweet and avoid fasting and feasting. Do not skip breakfast. Avoid carbonated and caffeinated beverages. Nauka asana: - It helps in the reduction of fat around mid-abdomen and strengthens back muscles additionally. Titli Asana (Butterfly pose): - It helps in stretching of adductor muscles of thighs which needs to be toned. Pawanmukt Asana: - It helps in burning fat around the hips, thighs, and abdominal area. Kapalbhati: - It helps in the toning of abdominal muscles and hence reducing the quantity of fat around the belly. Bhramari: - As in obese person the metabolism becomes slow, so this particular pranayama increases metabolism, increases oxygen uptake, and also balances hormones in the body.